Free Standing Produce Bag and Scale Holder 85"
This free standing "cathedral style" produce bag and scale holder is an easily accessible solution for customers to bag and weigh their produce at your market, grocery store, or produce stand! 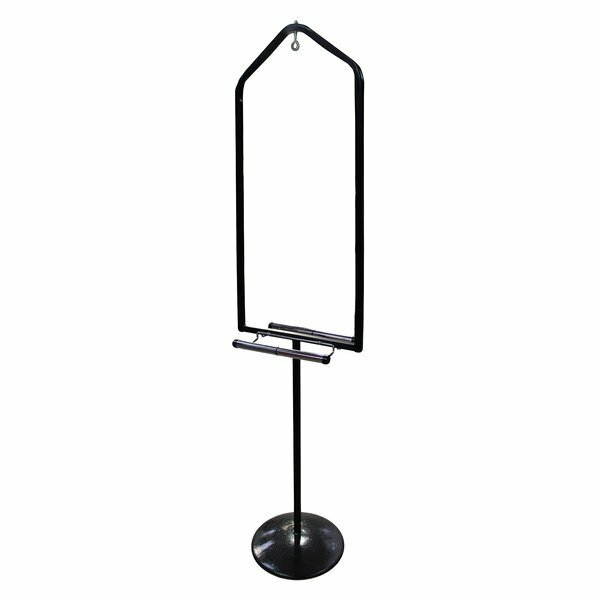 This 85" tall produce bag and scale stand features a durable powder-coated finish, a hook for hanging a scale (sold separately), roll bag holders attached to the front and back, and a sturdy 25 lb. tip-resistant base. Free Standing Produce Bag and Scale Holder 79"
Floor Mount Produce Bag Stand 48"